Sessile Trillium occurs on the southern periphery of its natural range in northeastern North Carolina near the Roanoke River. In Carolina this Trillium is known from two counties and is considered "Threatened" in the state. Most individuals seem to have red petals as shown on the image above, but some individuals (as shown below) have greenish-yellow petals, apparently due to diminished or absent anthocyanins (for more information see Les etal. 1989; American Journal of Botany). 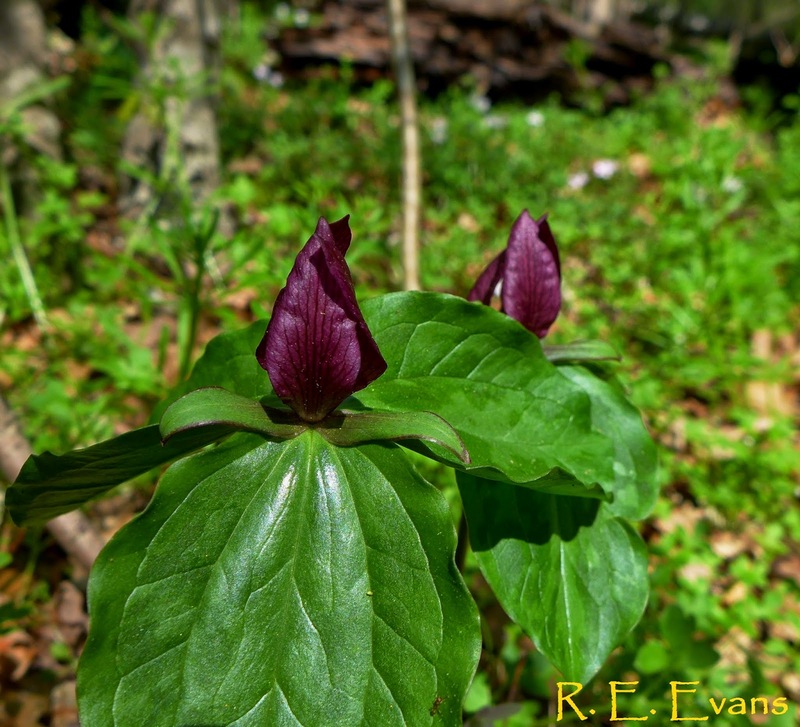 Sessile Trillium is widespread and common in the Missouri Ozarks and parts of the midwestern US. It is much less widespread east of the Appalachians although it does range across much of the Virginia Piedmont and into the coastal plain. How does a species considered a "myrmecochore" (adapted for ant dispersal) develop a range like this? 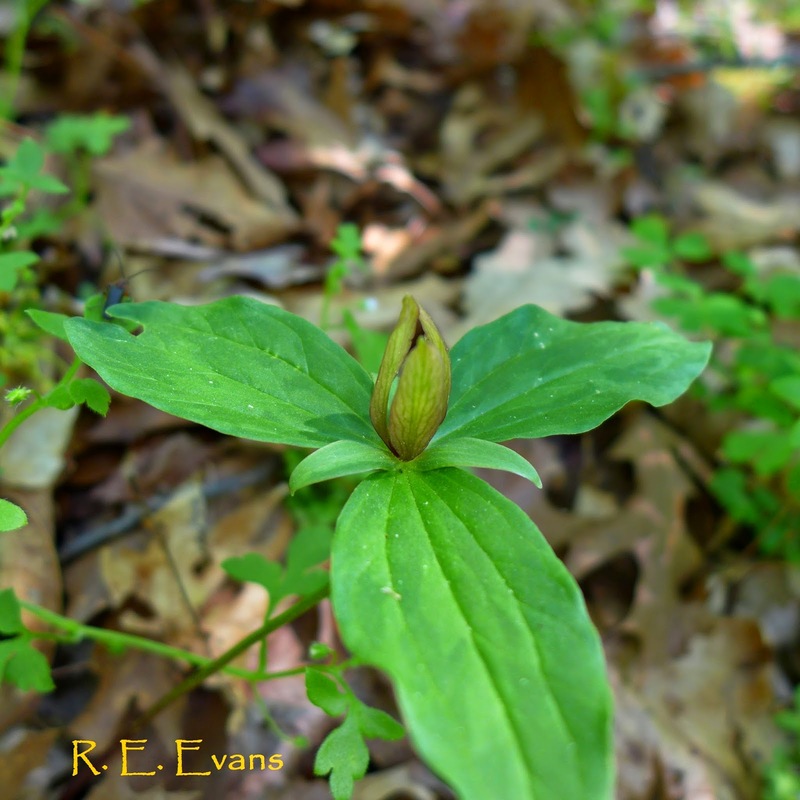 For an excellent chance to see this rare plant in North Carolina, consider joining the Friends of Plant Conservation on April 07, 2015. There has been some research showing Trillium can be dispersed by deer (see below). But even so, it is amazing how little forest herbs get dispersed so far.